Glynn was the original number one engine on the North Western Railway before the arrival of Thomas, the LBSC E2 tank engine. 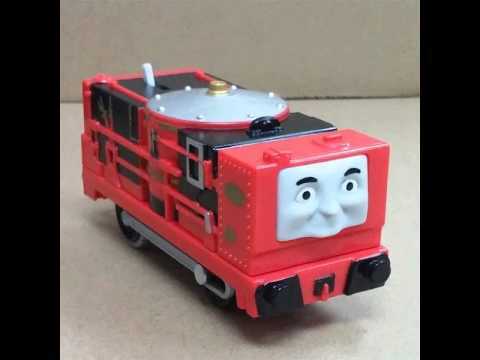 Glynn is an engine who appeared in The Adventure Begins. He was last seen on a siding in Ffarquhar, with ivy growing all over his body. His fate afterwards is unknown. Glynn is based on a vertical-boilered "Coffee Pot" engine, like the ones mentioned in The Railway Series book The Island of Sodor: Its People, History and Railways. He was painted red and had plants growing on him and the number One painted on his sides. 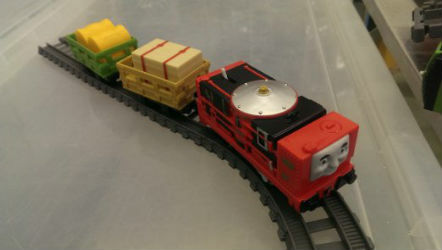 Video Thomas and Friends Toy Trains-Trackmaster Original Thomas and Glynn!